The Grasso family of Ca’ del Baio, a century-old Barbaresco winery in Treiso, experienced the pain of loss on March 11th with the passing of their patriarch, Ernesto Grasso. Surrounded by the family that loved him dearly, Ernesto passed with the same dignity with which he lived, in the house he built over 5 decades ago. On that late winter day, the Grasso family’s hearts collectively entered a winter of loss shared by all those who loved Nonno Grasso and the family that always surrounded him with love. 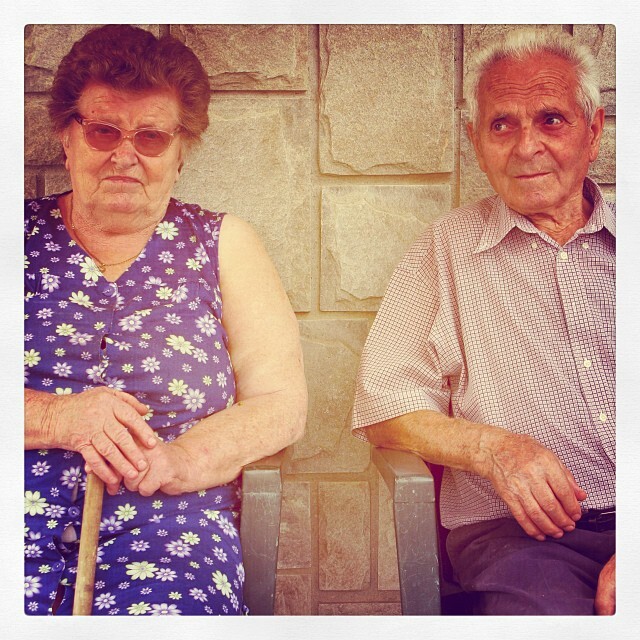 Nonno had been in failing health, but he still was able to participate in the winery’s work – including the 2013 harvest – and two years of delightful times with the fourth generation of his family, Lidia Deltetto. 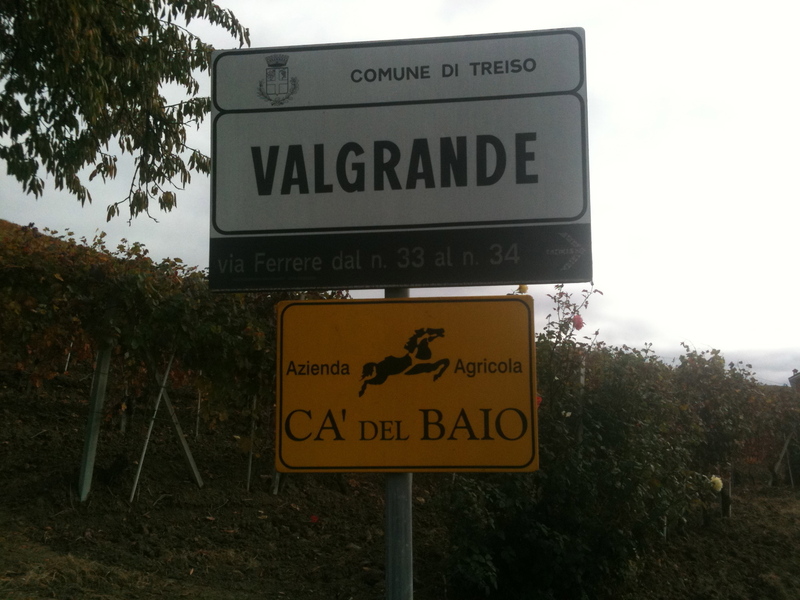 Sign of the noble vineyard of Valgrande, a great Barbaresco produced by the Grasso family of Ca’ del Baio. Ernesto Grasso’s grandfather moved his family of six – including his son Luigi – from Calosso d’Asti to Treiso in 1881. The wine made from the great Asili vineyard in Barbaresco Ernesto’s grandfather acquired as a wedding dowry from his wife’s family is today one of the Barbaresco appellation’s prized treasures. Immediately after completing his military service during the First World War, Luigi married and founded Ca’ del Baio. Luigi’s wife gave him five children of which the first four were girls. In those days, the patrimonial system made it unthinkable for women to inherit land (what would Luigi say about his three granddaughters working the winery now!). In 1922, Luigi’s prayers for a son were answered with the birth of his youngest child Ernesto. Throughout the Fascist regime, Ernesto remained a bachelor, a stigma the Fascists branded with a special “bachelor” tax. Ernesto obviously was waiting for the right woman to come along. And she did. In 1956, he married Fiorentina Cortese, the woman with whom he would share the next 58 years of life. In the 1950s, Ernesto built the family’s home next to the ever-expanding cantina. It was then he stopped selling the family’s prized grapes and began the legacy he passed to his son Giulio – bottling wines under the Ca’ del Baio label. Ernesto and Fiorentina, later joined by Giulio and his family, lived in the house Ernesto built until he passed quietly in his own bed. 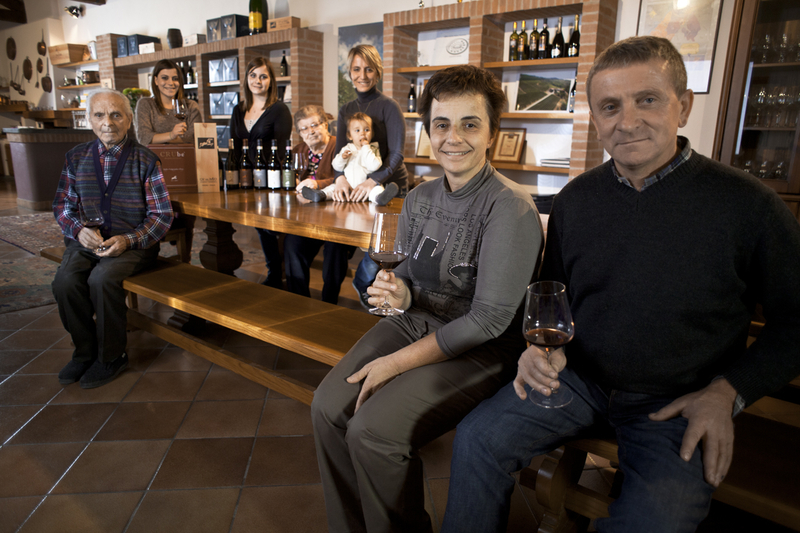 For some time Giulio has been running the family’s winery, but Ernesto remain engaged in the day-to-day operations and watched with great pride as his three granddaughters – Paolo Grasso Deltetto, Valentina and Federica – took their places with Guilio and their mother Luciana in the winery. How times have changed that the absence of sons as heirs no longer deals a fatal blow to an estate. Thank God, because Ca’ del Baio will live on through the hard work of Giulio and Luciana, and their three daughters! 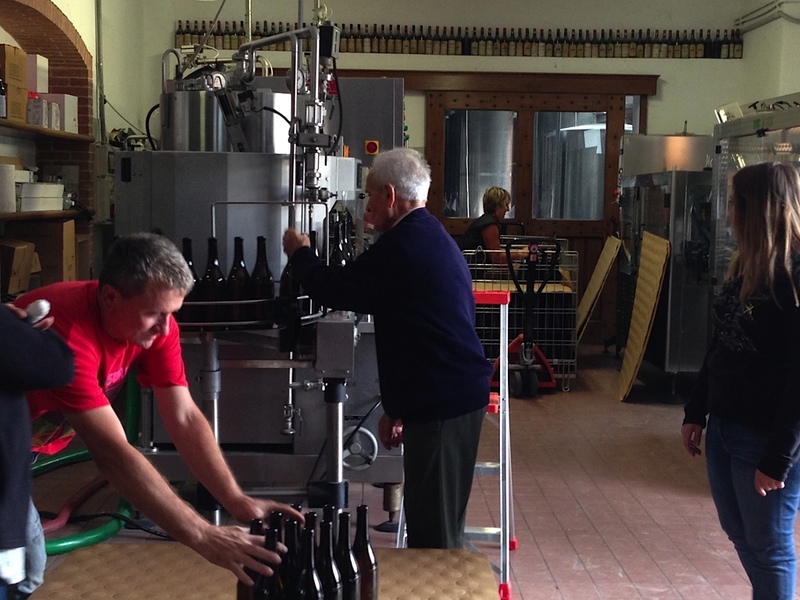 Four generations of the Grasso Family in the winery’s tasting room. Soon, Paola and husband Carlo Deltetto’s second child will join sister Lidia in the next generation of the two esteemed wine families. No doubt the knowledge his legacy is in capable hands helped him peacefully join his father to become Ca’ del Baio’s newest guardian angel. Although I met Nonno Ernesto at the turn of the millennium, I can’t say that I really knew him. We didn’t share a spoken language, but we exchanged knowing smiles that we shared a love of his wonderful family and the wines they produce. I got to see him in the winery, around the tasting and dining tables, playing tug with Rocky II and, best of all, seeing him play with his great granddaughter Lidia. 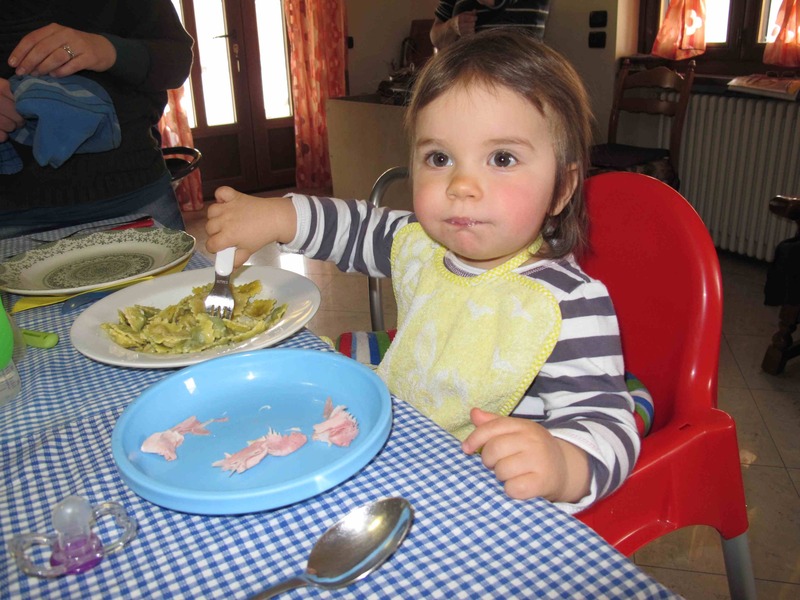 In March 2013 during a research trip for my book about the women of Piemonte’s wine families, I once again was invited to join the four generations of Grassos around their dining table for lunch. With Lidia in her happy world of pasta on one end and Nonno Ernesto on the other end of the table sitting next to Nonna Fiorentina and two generations of Grassos in between, I couldn’t help but feel an overwhelming emotion of joy at being able to share part of their daily routine with them. It’s an indelible image in my memory. Such a privilege to be able to know them as family. So much life happens around Italian dining tables and those snapshots of their life will live inside me forever. 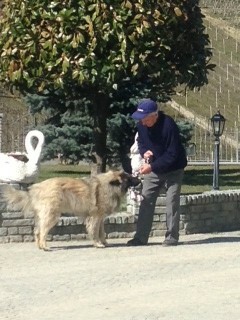 Thank God family togetherness on a daily basis still exists in the hills of the Langhe! 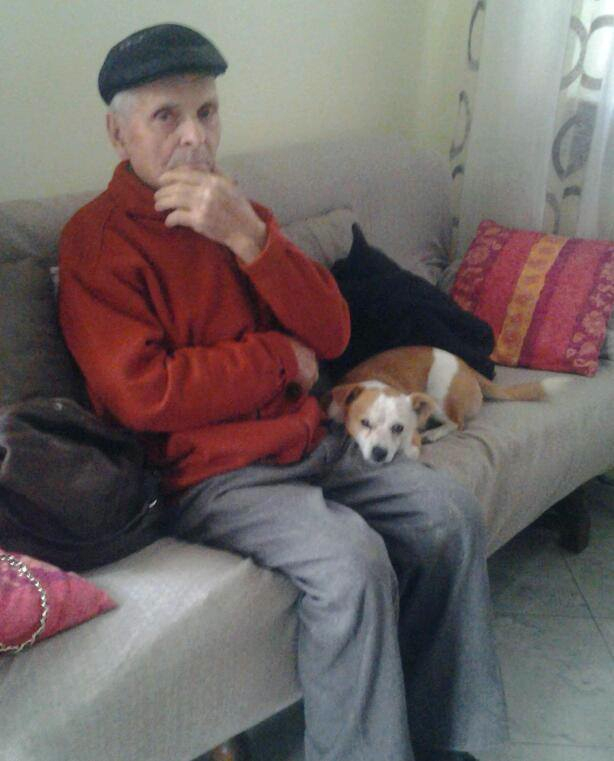 Nonno Grasso and the ever-loyal Ca’ del Baio winery dog, Milo.